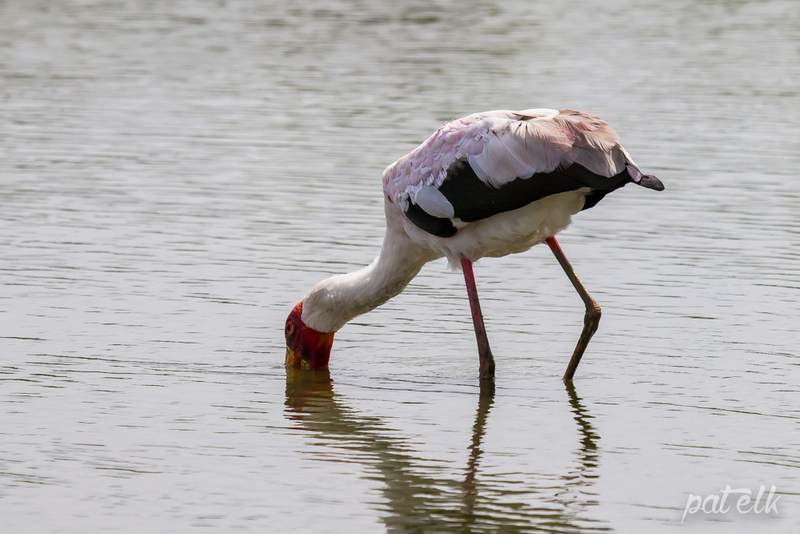 The Yellow-billed Stork (Afrikaans name Nimmersatooievaar) is a Near-threatened species in South Africa. It is a nomadic bird but can sometimes be found in pairs. 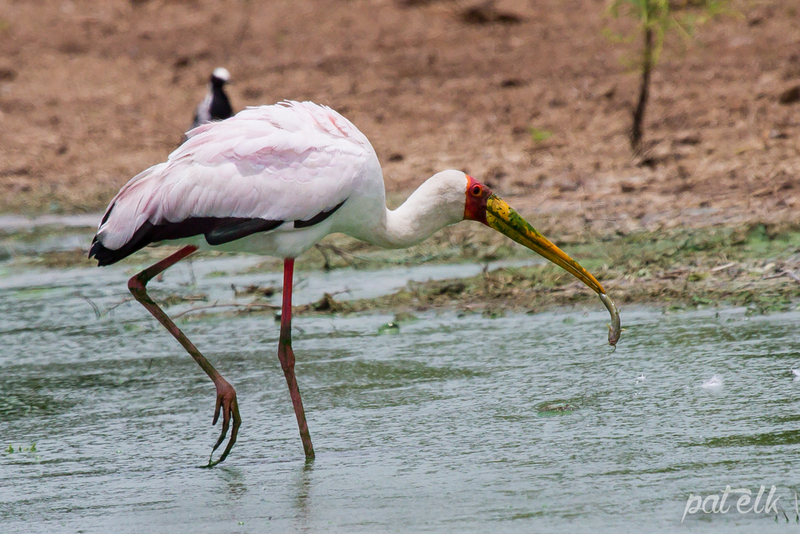 This stork fishes with its bill immersed and slightly open, whilst stirring mud with its foot. The bill is intensely tactile, snapping closed at the slightest detection of prey. 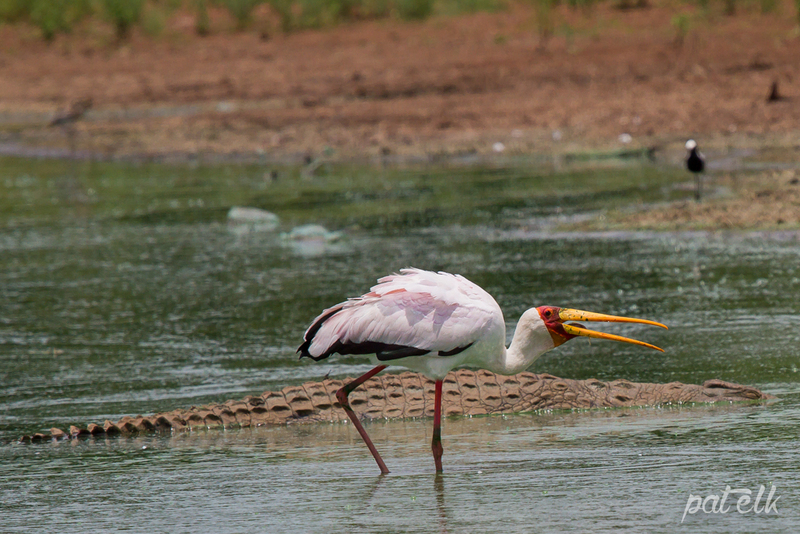 We watched this Yellow-billed stork fishing at Sunset Dam in Kruger National Park. The fact that there was a huge big crocodile in the water, right alongside him didn’t seem to deter him one little bit.